Cod is the common name for the genus Gadus of demersal fishes, belonging to the family Gadidae. Cod is also used as part of the common name for a number of other fish species, and there are species suggested to belong to genus Gadus that are not called cod (the Alaska pollock). Some fish that do not have "cod" in their names are sometimes sold as cod. Haddock and whiting belong in the same family, the Gadidae, as cod. Cod is popular as a food with a mild flavour and a dense, flaky white flesh. Young Atlantic cod or haddock prepared in strips for cooking is called scrod. In the United Kingdom, Atlantic cod is one of the most common ingredients in fish and chips, along with haddock and plaice. Cod's soft liver can be tinned (canned) and eaten. It is an important source of vitamin A, vitamin D, vitamin E and omega-3 fatty acids (EPA and DHA). Cod is mainly consumed in Portugal, Spain, Italy and Brazil. Cod flesh is white, moist, and flaky when cooked. Traditionally, most Brazilian entrées include fish or meat. In the northern part of the country, where the great Amazon River and the many miles of coastline offer an abundance of delicious fresh fish and seafood, diners enjoy these foods with most meals. 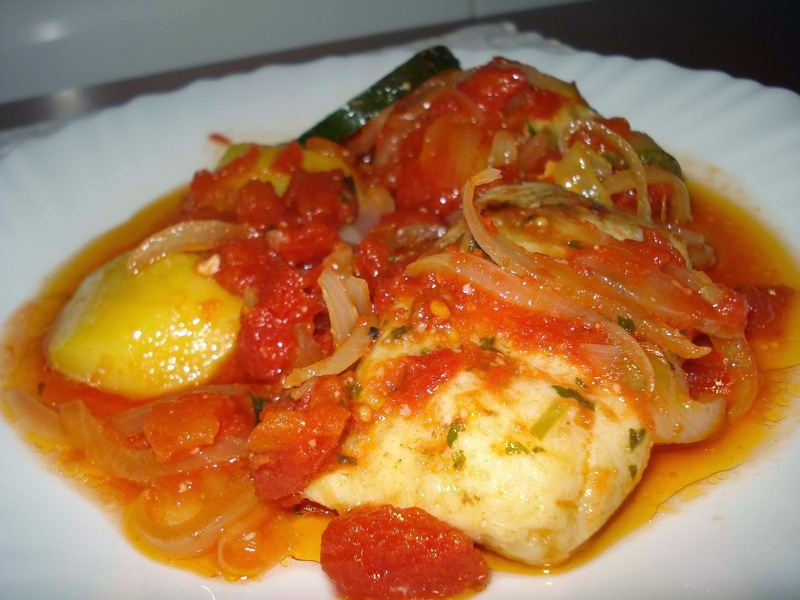 Northern cooks are famous for their moqueca de peixe and other delicious seafood stews. White fish varieties, such as snapper, cod, sole, haddock, or flounder, work well for this stew. This dish, which originates in the northeastern coastal state of Bahia, is very popular throughout Brazil. 1. Rinse fish under cool running water and pat dry. Cut into roughly 2- inch-square pieces and place in a large mixing bowl or baking dish. 2. In a food processor or blender, combine garlic, hot pepper (if using), cilantro, salt, black pepper, lemon juice, and half of the tomatoes and onion. Process until smooth. 3. Pour the tomato mixture over the fish. Cover with plastic wrap and refrigerate for 1 hour. 4. Heat dende or olive oil in a heavy saucepan over medium heat. Add fish, processed tomato mixture, remaining tomato and onion, and half the coconut milk. 5. Bring to a boil. Reduce heat and add remaining coconut milk. 6. Cover and simmer 10 to 15 minutes, or until fish is cooked through. Serve hot with rice. Be careful when working with hot peppers or chilies. The oil on the skin of the peppers can burn you, so wear rubber gloves while cutting the pepper, and be sure to remove all the seeds. Wash your hands well when you are done. Why Do We Use Cooking Oil When Cooking? What is Cooking Loss in Meat?